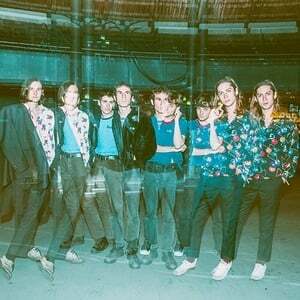 Swim Deep are an indie pop band from Birmingham, England consisting of Austin Williams (vocals), Tom Higgins (guitar), Zachary Robinson (drums), Cavan McCarthy (bass) and James Balmont (keys). Swim Deep formed in 2011 by Austin Williams, Tom 'Higgy' Higgins and Wolfgang J Harte. Harte left the band in late 2012 and was replaced by Cavan McCarthy. James Balmont joined the band as a full member in 2014 after a year of playing as an extra live member. They have often been identified as part of the emerging Digbeth-based B-Town scene.